Hailing from Milwaukee, Wisconsin, Omer is a communications strategist with multiple years of experience working in government and on political campaigns. Most recently, Omer worked for Congresswoman Pramila Jayapal of Washington state, where he helped position the new Congresswoman as a leader in Congress and orchestrated her communications strategy as she led the Families Belong Together movement. 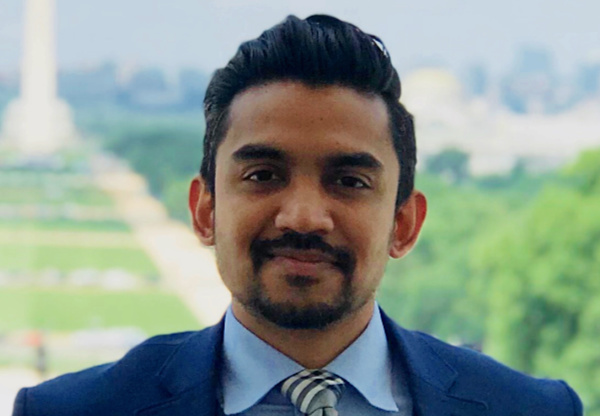 Before joining the Energy Media team, Omer worked for Congresswoman Pramila Jayapal of Washington State as a communications director, Hillary for America as a Regional Press Secretary for Northwest Ohio and on congressional campaigns in Michigan and South Florida. He earned his Master’s degree in Political Communications from the George Washington in Washington, D.C. and undergraduate degree in Political Science and Law Studies from the University of Wisconsin-Milwaukee.